If you have a canvas that you painted that you aren’t really digging (this happens to me now and again) here is a project that can help you reuse that canvas in an easy way to make a new art piece. 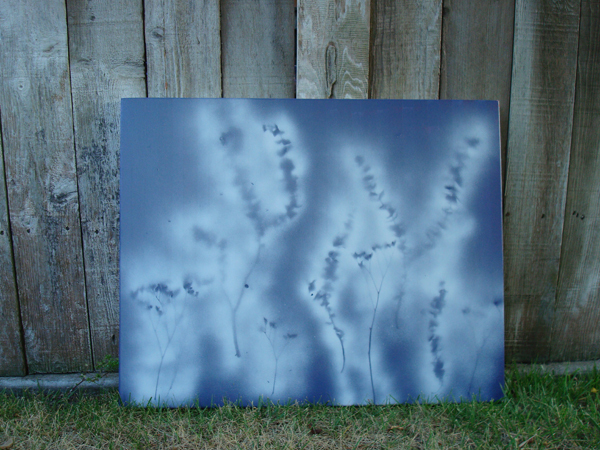 That’s the great thing about canvases, you can paint over them until you create something you like. So grab that old canvas or new if you aren’t a painter and paint it all one color (My pictures are demo-ing a few different projects). 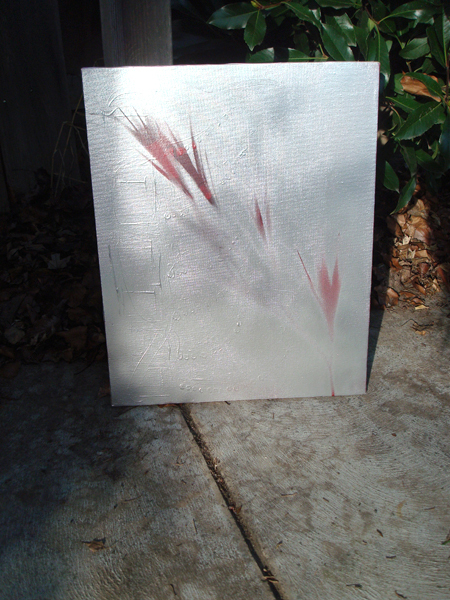 It is okay if portions of the existing painting show through the spray paint or provide texture on it. My view is that these bits of old art make this new one more interesting. It is also okay to use acrylic paint for this layer. 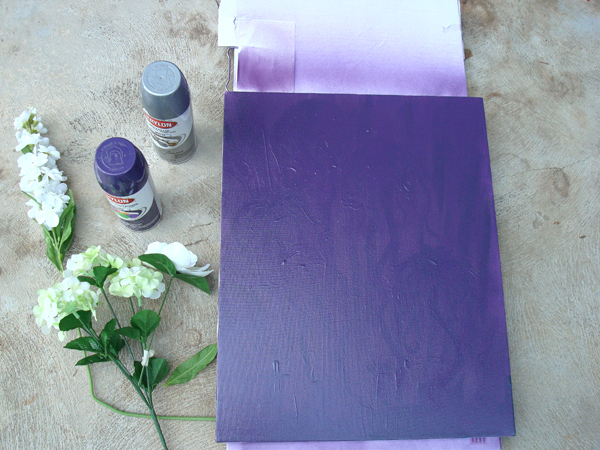 Next, place the fake or real flowers, sticks or leaves whatever you are using, into a nice composition on your canvas. 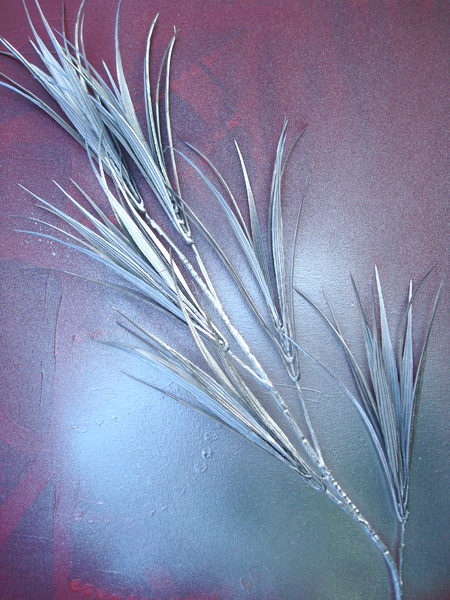 Try an angled position or tearing the flowers or whatever you are using into smaller pieces to provide multiple scales. 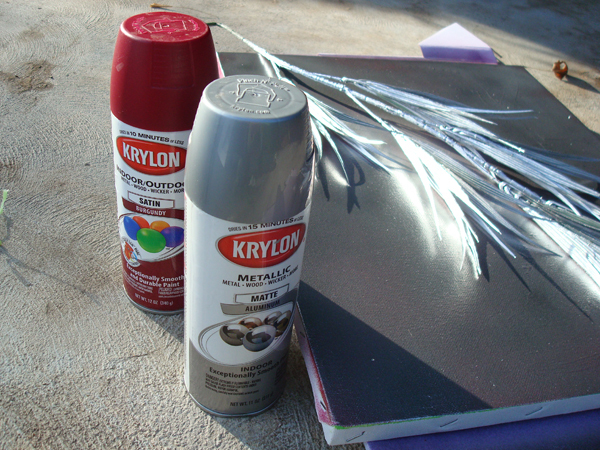 Finally, begin spray painting, gently, over the objects onto the canvas. If the objects are light in weight, like leaves, then you will want to spray downward directly over them to keep them from moving out of place. 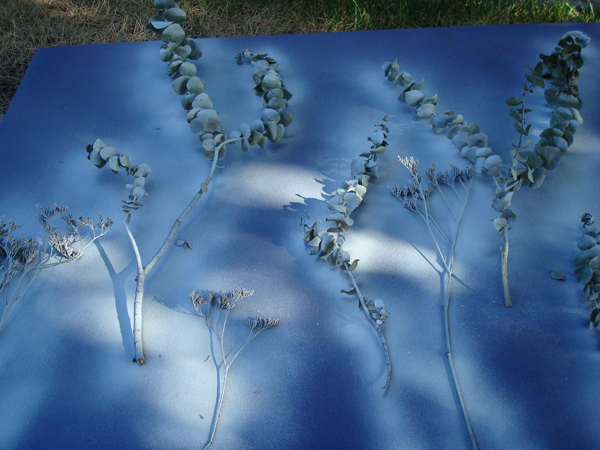 Otherwise, I suggest spraying the whole piece at a slight angle because spray paint tends to look more even with this application. Wonderful, Many thanks for this share.